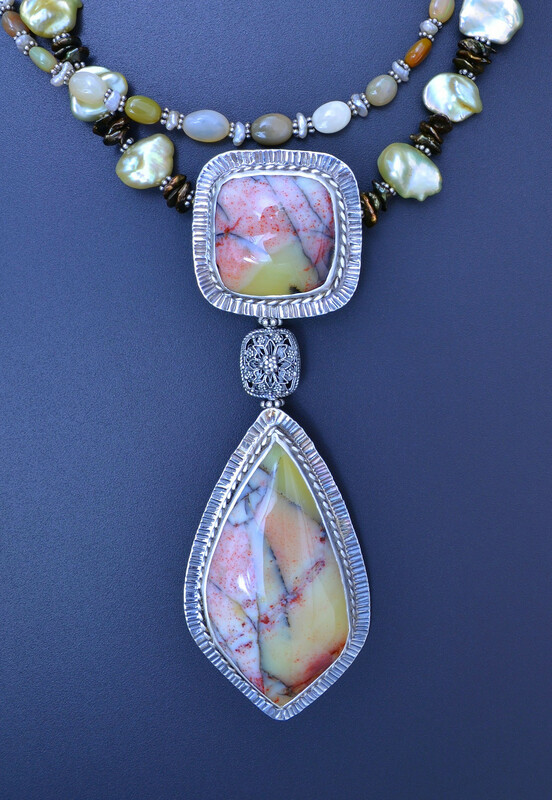 This necklace features Yellow Opal cabochons which display amazing patterns of color. These stones are "common" opal which do not display play of color. However, the colors in these stones could certainly be described as playful! I would venture the guess that these stones came from Oregon, though my invoice reveals nothing about their source and searching for similar examples using a variety of search terms proved fruitless. I found nothing which compares to these beauties! 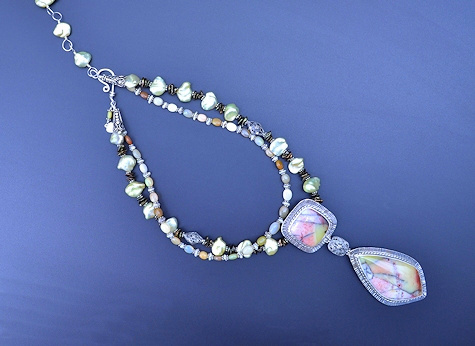 When I was searching for complementary stones and pearls, various mineral dealers inquired about them having never seen such an unusual mix of beautiful colors. Stones like this are the reason I trek across the beautiful desert to Tucson and spend hours sorting through thousands upon thousands of stones. Thrilling stones like this make my day! 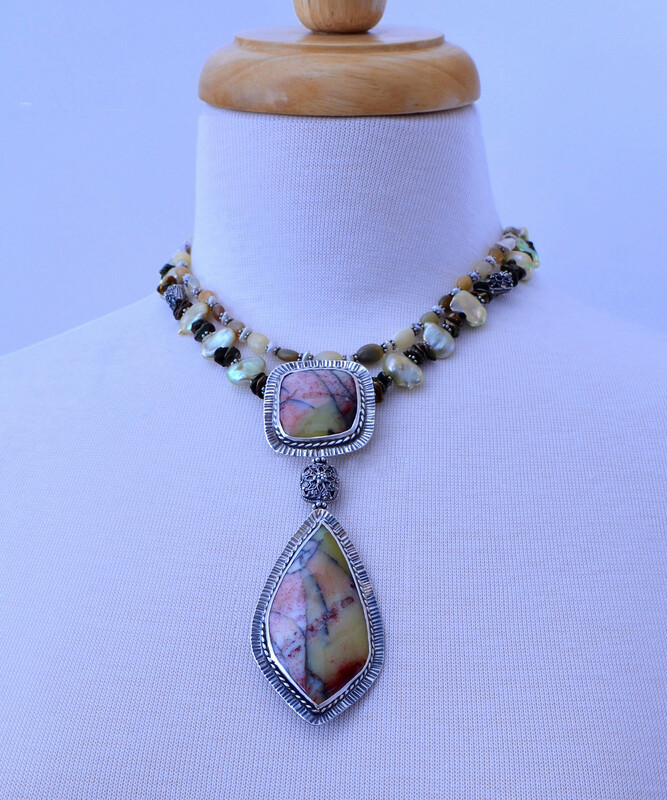 The Ethiopian opals have some play of color and I chose them since they complement the colors in the cabs but don't compete. 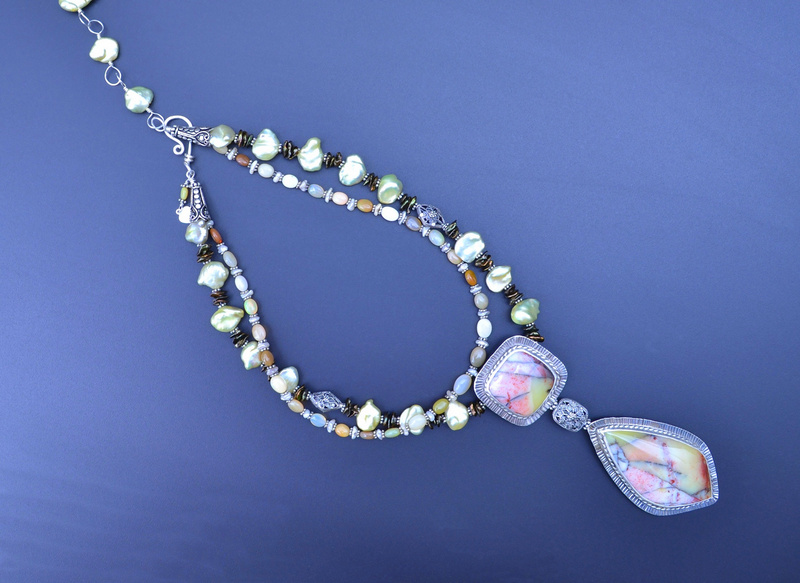 Ethiopian opals are a relatively new discovery from 2008. The square cabochon is integral to the necklace; the drop below is a removable pendant. 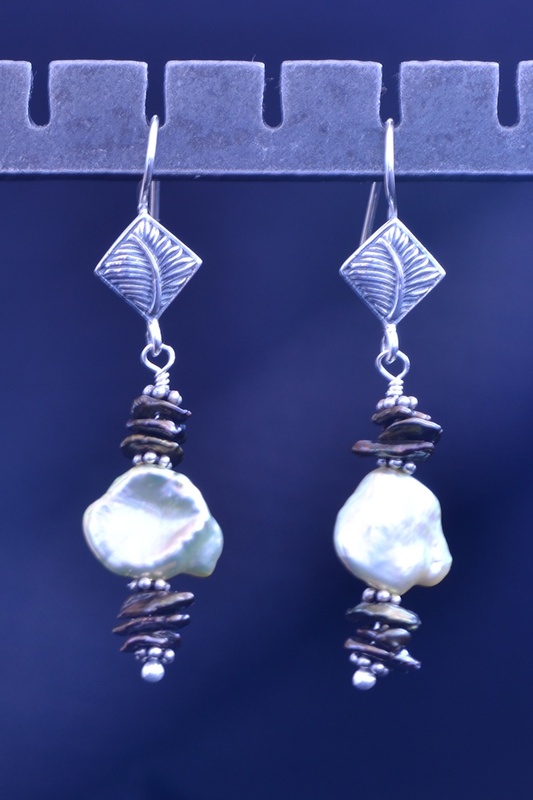 This makes the piece quite versatile, it easily goes from casual to more romantic. I doubt you will ever see other stones like these, if they speak to you I hope you will order this set today.